George Balanchine’s The Nutcracker® will have your heart bursting with cheer in this holiday tradition for the whole family! 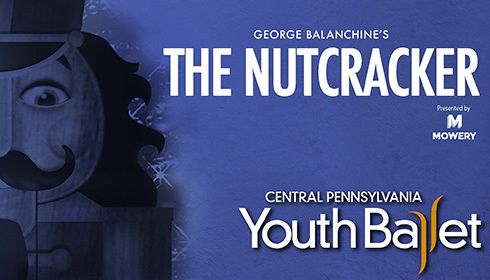 The brilliant dancers of Central Pennsylvania Youth Ballet bring Balanchine’s winter classic to life with larger-than-life sets and dazzling costumes set to the magical music of Tchaikovsky. As the clock strikes twelve, you’ll happen upon a battle between toy soldiers and mischievous mice as a blizzard of ballerinas reveal a wonderful world of confection.